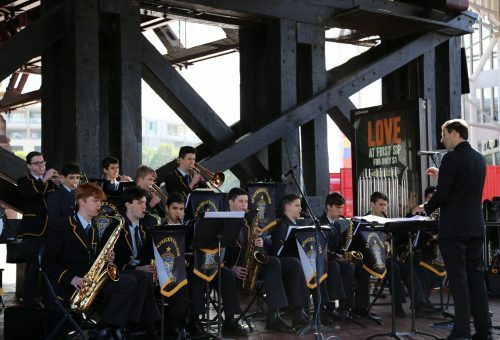 On the afternoon of Sunday 3 June, the College Wind Ensemble and Blue Black & Gold Big Band performed at Darling Harbour. This annual event is one of the highlights for the band programme. The boys were excellent ambassadors for the College, and entertained a large audience with a variety of styles and genres of repertoire. Well done to all boys who performed.